One of the most powerful assets to increase fundraising for your organization may be sitting under your nose – existing donors. There are hundreds, if not thousands, of people that regularly give to your organization and many of them have robust social networks that can help meet your next fundraising goal and then some. 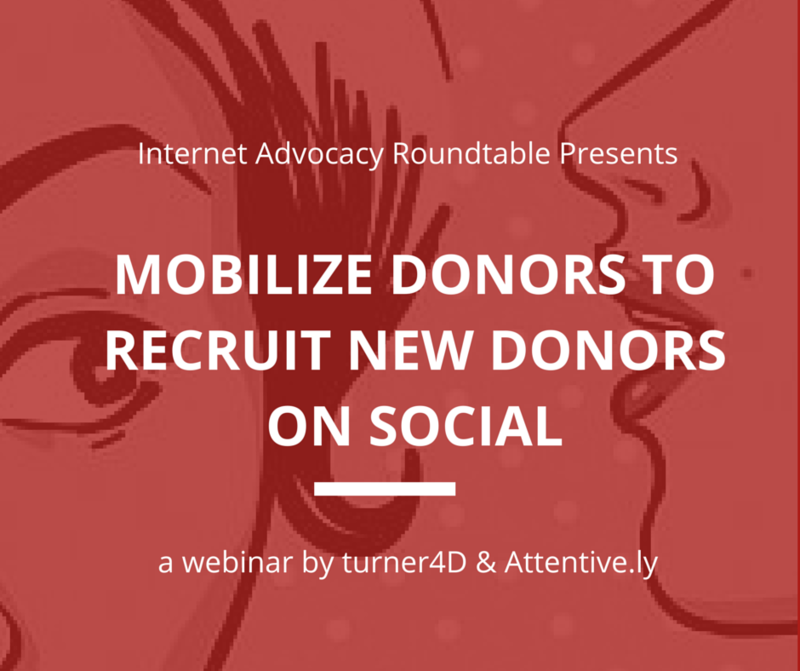 Engaging with these existing donors in a way that persuades them to recruit their friends, family, coworkers, and other followers is no easy task, which is why we’re here to explore the topic in a new webinar, “Mobilize Your Donors to Recruit New Donors Through Social” on Thursday, April 16. According to the 2014 Charitable Giving Report, total online giving grew 8.9% from 2013 to 2014, with small organizations growing up to 10.6% in online donations. Social fundraising played a large role in this boom, with the level of social fundraising increasing by 32% between 2012 and 2014 to now account for 17.46% of online giving according to DonorDrive. Facebook alone accounted for 90% of all social giving last year! While some of that giving might be the result of a few wickedly clever fundraising posts from an organization, we believe that a well crafted, personalized ask for supporters to engage and recruit their own friends will help attract and persuade donors that may otherwise not be receptive to giving. As important as it is to get past donors to give again, you want to increase the pool of existing donors and social word of mouth has proven to be successful! In 2012, a NTEN study found that each Like to an organization’s Facebook page has an average value of $214.81 over 12 months, and some Likes from supporters may be worth much more. By getting those that Liked the page to share donation information, the opportunities to boost donations could increase significantly. Just because someone likes your organization’s page doesn’t mean they’re going to share fundraising content – they need to be asked several times in a personal manner. Through unprecedented connectivity and the availability of social data, nonprofits are sitting on a wealth of social data about their supporters and donors, and there are influencers, advocates, and “friendraisers” hiding out in your email list right now that could share your message with the world. There has never been a better time to identify the donors who are the most vested in your organization and recruit them as champions of your message. Attentive.ly has the power to do this in two ways; listening to what email subscribers are saying on social media about your issues so you can send them personalized asks, and identifying the most powerful users on your list by revealing their Klout score and most discussed topics. Understanding who the influencers are on your email list is one of the most important things a nonprofit can do, as they can boost the visibility of your content dramatically. Once influencers are identified, what are the best ways to get them to promote your cause with their audiences? We cover some of the basics in our latest guide, How to Identify & Engage Your Influencers, but this will be the center of our discussion for the Mobilize Your Donors to Recruit New Donors Through Social webinar on Thursday, April 16. Together, Roz Lemieux of Attentive.ly and Alan Rosenblatt of turner4D will cover information that is critical to building up an organic donor base through social data and social sharing. 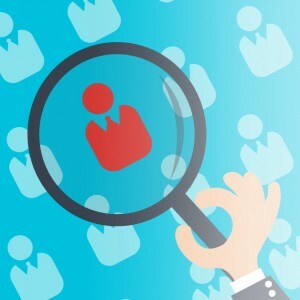 Learn how to identify the best types of donor recruiters on your list, determine the best practices for pitching these donor recruiters with your fundraising asks, and see real examples from nonprofits that made social fundraising work for them. There will also be a discussion of how to best monitor the discussions taking place on social media around your organization’s issue, and what is needed to act on these discussions to capture the momentum of your supporters. Also included in the webinar will be a discussion of the Susan G. Komen 3-Day and how they leveraged their social influencers to raise money for their 3 day walk with the social data available through Attentive.ly. Just 27 social media influencers that supported the cause were asked to spread the word about registration in their own words on their own social media channels, and the results speak for themselves: an 105 additional participants were recruited, resulting in more than $200,000 raised! If you’re interested in learning about how social fundraising can best work for your organization, join us soon for our upcoming free webinar at 2 p.m. Eastern, 11 a.m. Pacific on Thursday, April 16th! Space is limited, so please reserve your spot now!